The cut-and-cover Monk’s Tunnel covers a large distance and takes a minute or two to walk. There are also several doors along its length which add to its allure and mystery; as you open a door expecting to appear in another building, more of the tunnel stretches out in front of you. Monk’s Tunnel looks like it was originally created as a cable run. The cable trays support a multitude of cables which connect the Computer Building with Cell 3 and Cell 4. 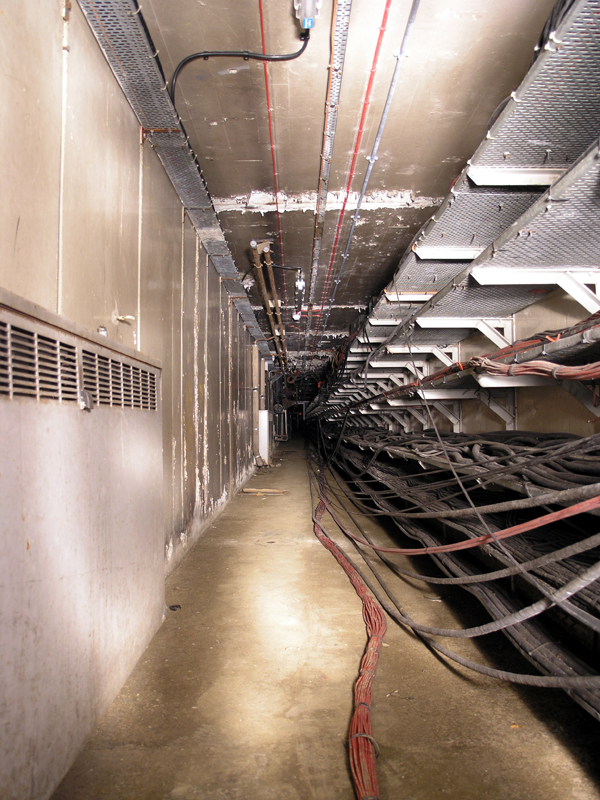 Originally these would’ve been data and control wiring for the computers, but most are now connections between Cell 3 and its control room in the Computer Building.